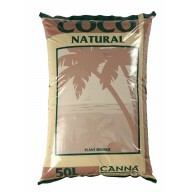 Canna Coco slabs have been developed and created to fulfil all the requirements for cultivating fast growing plants. In addition, the substrate can be used several times and is environmentally friendly. Furthermore it meets the strict R.H.P. demands. 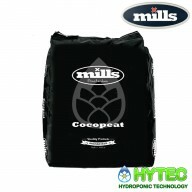 During the development of the fertilizer, which C..
MILLS COCOPEAT 50LTR Cocopeat is an all-around potting substrate based on coco fibres and coco gravel. It’s pH neutral, environment friendly and works wonders on soil life. 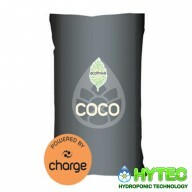 One of the benefits of coco fibre is that it’s able to absorb vast amounts of water; water it doesn’t use, so it’s..
CANNA Coco Natural is a natural coco-based plant medium that offers the gardener and his plants advantages in comparison with other substrates: CANNA Coco Natural is an organic product that is very lightly buffered and free of harmful viruses or soil diseases. 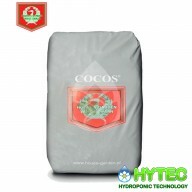 CANNA Coco Nat..
HOUSE AND GARDEN COCO 50LTR House & Garden Coco meets all standards of quality set by testing organisations. It gives consistent high standards of quality that users demand. 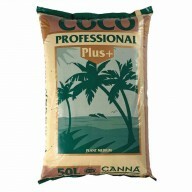 All House & Garden Coco undergoes a rigorous process of buffering and cleaning to ensure all impurities are wash..
CANNA Coco Professional Plus CANNA Coco Professional Plus is a coco-based growing medium that offers the gardener and his plants many advantages in comparison with other substrates: CANNA Coco Professional Plus is a pure, organic product with a homogeneous structu..
​ECOTHRIVE 60/40 COCO CLAY MIX 40LTR The ideal mix of 40% coco coir and 60% clay pebbles for optimum water holding in hydroponic systems, pre-blended with Ecothrive Charge for an unbeatable biological boost. 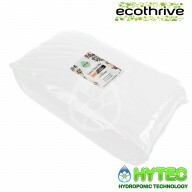 Ecothrive Charge is comprised of 100% premium organic insect frass. Thousands of produ..
60/40 Mix Gold Label Hydrocorn and Coco is an ideal match for high water capacity, lower watering frequency and better rooting. 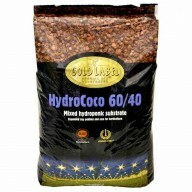 We utilize the 8-16mm Hydrocorn from Gold Label and the purest Gold Label Coco to give to give you the perfect ebb and flood growing media which also works well in any..
ECOTHRIVE COCO LITE MIX 50LTR The perfect mix of 70% coco coir and 30% perlite for optimum aeration, pre-blended with Ecothrive Charge for an unbeatable biological boost. 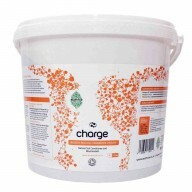 Ecothrive Charge is comprised of 100% premium organic insect frass. 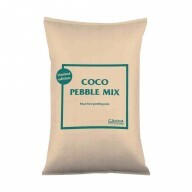 Thousands of production-focused growers across the UK a..
CANNA Coco Pebble Mix This premium mixture of the CANNA Coco Professional Plus (60%) with CANNA Aqua Clay Pebbles (40%) enables growers to optimise their yields. 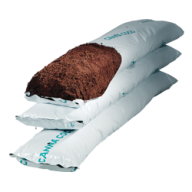 CANNA pride themselves on the quality of their products, so they have combined their lightly buffered coco with their popular Aqua c..
Ecothrive Coco 50L Premium Quality Coco Coir—now pre-blended with Ecothrive Charge! 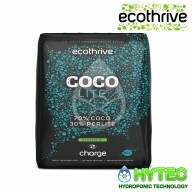 Get your plants off to a flying start every time with Ecothrive Coco. 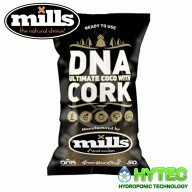 This unique, top-tier coconut coir potting mix comes complete with Ecothrive Charge pre-blended at the perfect ratio for an unbeatable biolo..
DNA/MILLS COCO & CORK The ULTIMATE COCO & CORK ensures ultimate water management and is an airy substrate. This will allow the crop to build an optimal root structure. It does require additional food during the entire cycle, however. Cork is not only good for the crop, it is also..